Not long after I first started working with wine, I spent a few weeks during harvest in a small, sleepy wine town named Martigné-Briand in the Loire Valley, south of Angers. Just a few miles east of the now famous sweet wine district of Layon, the Layon wines hardly registered with me at the time, and as for wine tourists, well in those days they were simply the French, out shopping for wines. Today, life has moved on and there are plenty of reasons for wine lovers to explore this region. The relatively flat vineyards around Martigné-Briand were in the 1980s planted mainly with Grolleau destined for large volumes of medium-sweet rosé d’Anjou, back then very popular in the UK, the Netherlands and beyond. Today, rosé d’Anjou is still made, but Catherine Motheron, daughter of the wine producers I stayed with, Jean and Chantal Motheron (then simply known by their négociant name, Mottron), has moved with the times, focussing especially on Chardonnay, Anjou reds, Cabernet d’Anjou and dry Rosé de Loire for her good value Domaine de Flines wines, widely exported. As for the little town, it is restoring the château (that I don’t remember even existing!) and it has a minor celebrity in natural wine producer, Olivier Cousin of Domaine Cousin-Leduc. So, what of the pretty Layon valley, famous for its autumn mists that encourage noble rot to form on the Chenin Blanc grapes? The luscious, but elegant wines from the Layon have gone from strength to strength, whether the very fine Bonnezeaux or Quarts de Chaumes, or the simpler Coteaux du Layon wines. The last generation of growers here realized that they had to make big quality improvements, starting in the vineyards with a focus on successive pickings of the grapes at the optimum time, and also through improved cellar techniques. Today these wineries are opening their doors to visitors too. 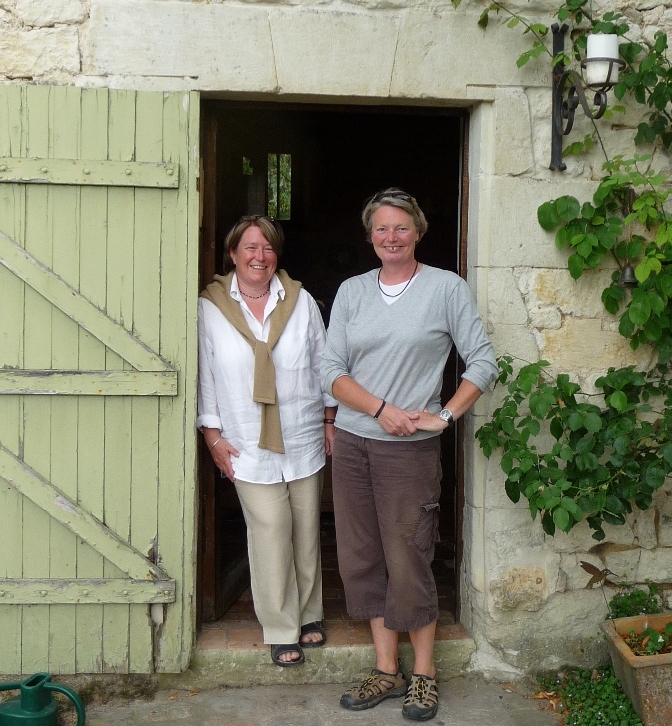 Recently, Brett and I visited two Layon wine producers who welcome keen wine tourists. The very grand-looking Domaine de la Soucherie in Beaulieu-sur-Layon was taken over in 2007 and big investments were made into the estate, including the tourism facilities with a trendy tasting room to visit once you can drag yourself away from the gorgeous view over the vineyards. As in many Layon properties, they own vines across the Loire in the tiny appellation of Savennières where they make a classically dry, mineral Chenin from Clos de Perrières. They also offer an Anjou white (dry Chenin), an earthy Anjou red (Cabernet Franc with 10% Grolleau) as well as of course, classic, honeyed Coteaux du Layon and a delicious, intense Chaume. The domaine is open all day for visitors Monday to Saturday, without a break for lunch. Just up the valley near Chaume-sur-Layon is the pretty Domaine de la Bergerie, owned by the dedicated Guégniard family. With a similar range of appellations to Soucherie, my favourites here included the delicious dry, rich Anjou Blanc Les Pierres Girard, and of course their Clos de la Bergerie Coteaux du Layon. Rather than the somewhat corporate visit with Soucherie, here one of the family is likely to host you in their new little tasting room, but they do prefer advanced notice of your visit. The Guégniards have done something quite revolutionary for this quiet vinous backwater in that with their son-in-law David Guitton, a chef, they have opened an excellent small restaurant La Table de la Bergerie, right on the property with a view to the vines. It’s a perfect place to have a leisurely, excellent lunch on your wine tour, or with the long days of summer, an evening meal would be lovely too. You can base yourself very close to here if you stay with Sue and Micaela at La Grand Maison d’Arthenay, a restored old house in the vineyards with four comfortable rooms. You will have the advantage of staying with two English women who really know their wines, having studied and worked in the UK wine world before moving to base themselves in the Loire. They are more than happy to organise personalised wine tours. Otherwise, if you prefer a town base, there is a growing choice in Angers, a classical provincial French town, famous for the Apocalypse tapestries in its fortress-like castle, and the amazing 20th century interpretations by Jean Lurçat in a museum close by. If you want to organise your own wine tour in the region, do take a look at our Around Angers travel guide, originally written by Loire wine specialist Jim Budd and recently updated by us. Or, if you have only a very short time, or perhaps no car at your disposal, then experienced wine educators Cathy Shore and Nigel Henton of Le Tasting Room can organise a tailor-made wine tour incorporating tasty meals with wines to match of course, in their house by the Loire just east of Angers. They can even meet you at the train station. To me, the best thing of all about the Anjou region of the Loire, is that there is a huge choice of wine styles, from sparkling, through dry, medium and sweet whites, rosés and increasingly improved reds too. One other plus for the traveller is that this section of the very popular Loire Valley is less busy than further east where the very grand châteaux are located around Tours. 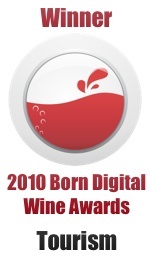 This entry was posted on Tuesday, April 19th, 2011 at 8:03 pm and is filed under Places to Stay, Eat and Shop, Vineyard Visits, Wine Tourism General. You can follow any responses to this entry through the RSS 2.0 feed. Both comments and pings are currently closed. I am a fan of Anjou ..
Maybe there are resemblences between Anjou Blanc and Fiano di Avellino in style, even with very different climates?